I just released a new interactive fiction, written with Twine: Chimère. It tells the journey of a person leaving his world on the verge of destruction to seek answers from their Creators. It’s really short, but I hope quite enjoyable. It’s here if you want to play it, but it is, as usual, only available in French. First reason: the organisation becomes quickly messy with a lot of passages. I find that the passages network looks cool in a certain “artistic” way, but it’s a hassle when you have to organise them, with all the arrows everywhere. And it’s worse when you want to rearrange them. Third reason: the code and the text are mixed together. This troubled me particularly when it comes to placing line breaks properly in the text. More generally, I find that it makes the text more difficult to read. All these reasons, with the fact that two versions of Twine coexist and are used, makes me believe that Twine is not that good for people willing to try game development. Everyone seems to think the opposite though, so maybe I’m wrong? It also depends on the project: for a small one without special effect nor variables to keep track of the player’s actions, Twine remains a good tool. I, however, prefer by far parser interactive fictions, so my viewpoint may be distorted! Next time, I’ll try Raconteur, to see. Comédie, by Monsieur Bouc, with 6.75/10. That was a close one! Thanks to all the voters, and to the all writers of course! See you in 2016! A bit late, but here are the results of our Ludum Dare game Grow Your Planet. As I said in the previous article, we’ll try to do it again in December! We made a game for the Ludum Dare 30 (which began quite a long time ago), but we hadn’t had time to post about it here. The theme was Connected worlds and our game’s name is Grow Your Planet. You can play it here! Meanwhile, here is the postmortem. You can skip to the conclusion is you find it too long. We found the idea of making planets grow in a pot at home quite easily, and we found it really cool. Moreover, it fitted the theme very well, while remaining original (we didn’t want to make a platformer with two overlapping levels or such other quite obvious ideas). We aren’t so good at pixel art, and hand-drawn graphics add a personnality to the game (I think so, at least). People seemed to like the style, Ylang did a really good job here. Many thanks to her! Stencyl is a wonderful tool that I’ve been using for some while, so everything went quite smoothly. No bugs, no unsolvable problems, no features that needed to be removed due to their complexity… The main challenge was the use of the image API, for the “taking pictures” part of the game, but here again, it wasn’t that hard. To reinforce the “connected” part of the theme, we decided to add levels of some sort—and we chose platformer ones—to make the planets interact which each other. Sadly, this decision was made too late, and I ended up not having the time to make them. As a result, I made a small, poorly implemented one that can be completed in 5 seconds, and duplicated it to make three levels. This is the main thing to rework in a post-compo version. The game is not polished enough: it lacks transitions when you unlock a new planet, and the ends abruptly. For the next time: do not finish 30 seconds before the deadline! I am quite new to this, so I did not really communicate about the game. This is a thing to improve for next time, to gain more visibility. Maple did a quite good job here, but the music was made at the end, too quickly, we did not have the time to record it and I implement it poorly in the game. Next time, we should begin to work earlier on this aspect of the game. We slept enough (too much? ), and we respected the delays we fixed ourselves for each of our goals. We took it maybe too easy and relaxed, which caused the not-so-good platformer levels. It is strange to say that, but we’ll need to sleep less next time! We had a lot of fun and are very satisfied with our first Ludum Dare game. We could do almost everything as planned. Just need to sleep less and to communicate more. Beside that, we did quite well. We’ll be back for sure in December! 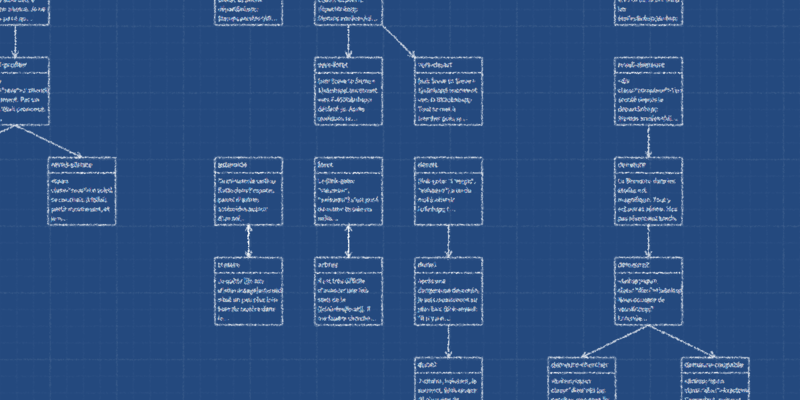 Results for the french interactive fiction competition have been announced! I am proud to tell that my game, Noir d’encre (which could be translated as “Pitch Dark”) won the second place! However, if you understand French, don’t hesitate to play the three other great games. My results are below, and you can have more informations at the link given above. Votes are open to determine the winner of the 2013 French IF Comp. Anyone can mark the games, so you are welcome to do it. Obviously, they are in French, so you need a minimum of knowledge in this language. But if it’s not a problem to you, you can get more informations on this page and on this thread. Thank you!